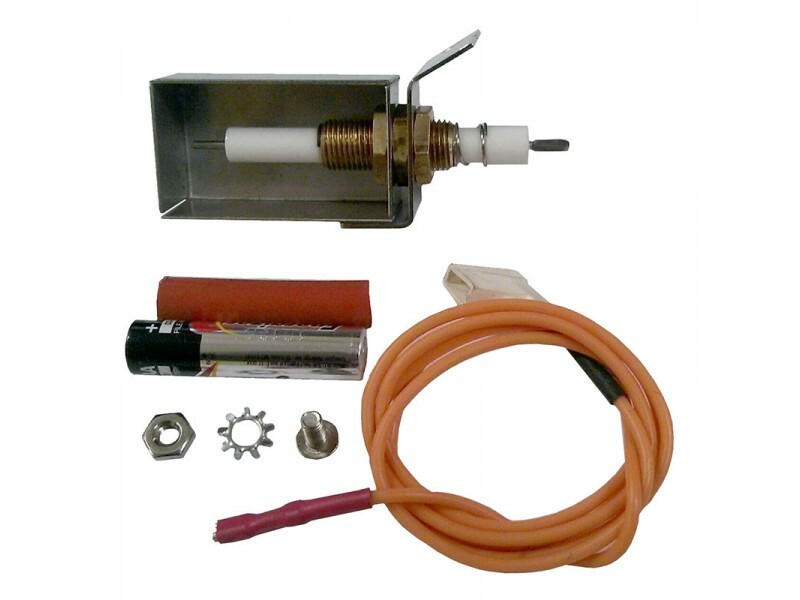 Fire Magic ignitor electrode kit with wiring, collector box & bracket for Elite, Monarch, Regal 2, Regal 1, Custom 2, Custom 1 & Deluxe Grills. For use with push button battery spark generators only. This electrode can be used in any pre 2006 Fire Magic Grill that currently uses the 3199-60.